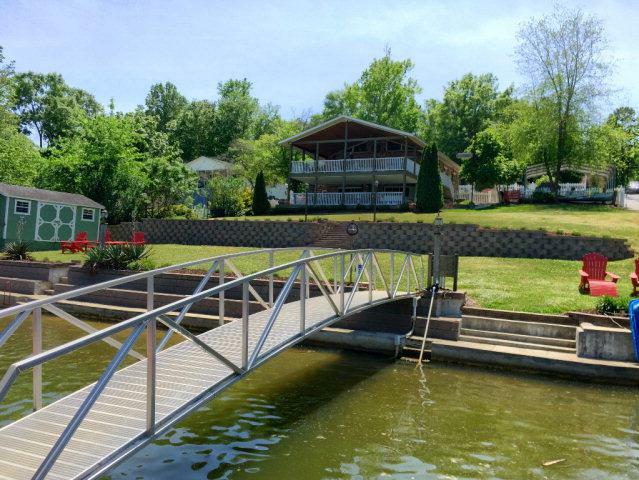 This lovely lakefront home is a dream!! 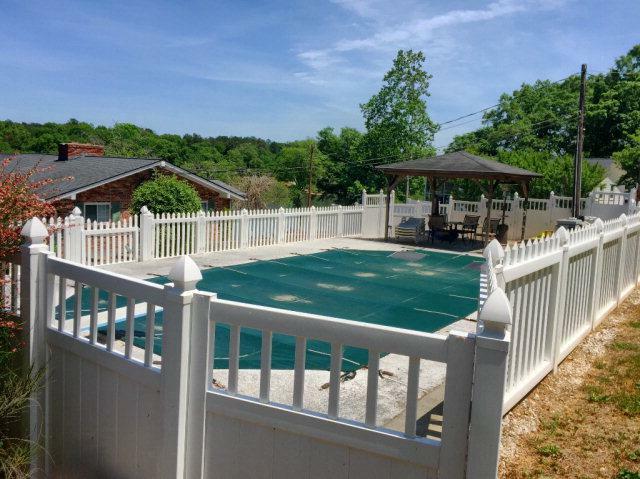 Enjoy living the lake life in this deep water home with an in-ground pool and amenities galore! This home is in an unrestricted neighborhood. Have an RV and don't want to pay to store it? No problem!! Store it on your property under the covered port are with hookups! 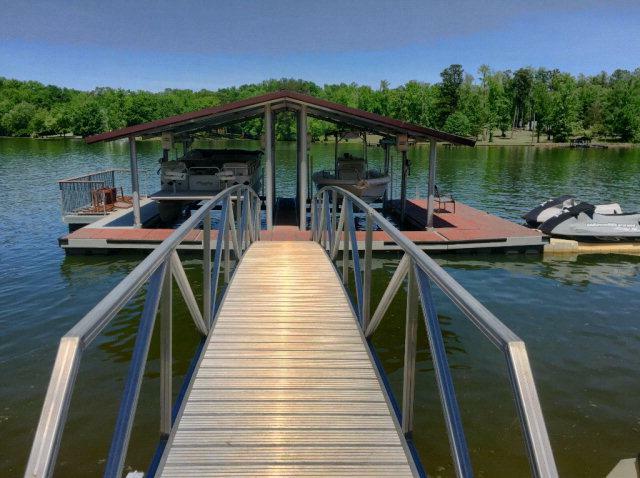 Prefer to keep you boat at your property even when its out of the water? No problem! Theres space for that too! Outside is a lake lovers dream with a double covered boat lift featuring aluminum and Trex decking, jet ski lift, storage for 2 paddle boats, a lakeside storage building for your lake toys, a swimming area complete with a Life Guard chair, extensive keystone retaining walls, numerous fishing platforms, decorative concrete steps for easy lake access to the lake, a 16x32 in-ground heated pool with a cabana, 20x20 carport, an RV Carport with hook ups, and 2 levels of covered outdoor loving space!! ALL this on deep deep water with expansive views!! Have a large family or anticipate a lot of guest? This home could accommodate 2 families or give your guest or the kids their OWN private level when they visit!! A rare find on most lakes, this home features 2 bedrooms, 1 bathroom, a full kitchen, and a large great room on the upper level AND lower levels!! Thats 4 BEDROOMS, 2 BATHS, and 2 KITCHENS! Features include new heat pump, new interior finishings, tongue and groove cypress vaulted ceilings, open floor plan with open kitchen and living area, a brick fireplace, a wall of windows along the lakeside with sliders leading to the covered outdoor porch or patio. There are also 2 bedrooms and 1 full bath on both levels. 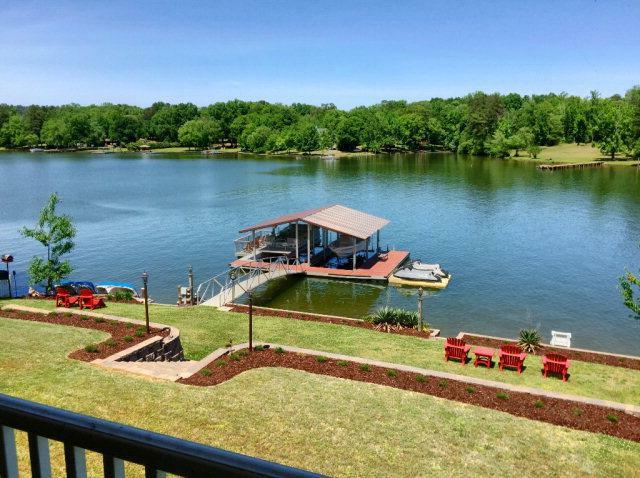 Lake Greenwood is one of the most affordable in South Carolina and its popularity is growing!! Lake Greenwood was featured on HGTV in 2015!! It's also minutes to town, close to the top rate Self Regional Hospital, close to the interstate, boating horse power is NOT restricted, great fishing, and Lake Greenwood is owned and governed by Greenwood County and is NOT a Army Corp of engineers lake.